We have some news: Our first motorhome, our Silver Shell, is now in the hands of another couple and well into a 3000 mile journey to the Pacific North West. No, they didn’t steal him, we sold him! 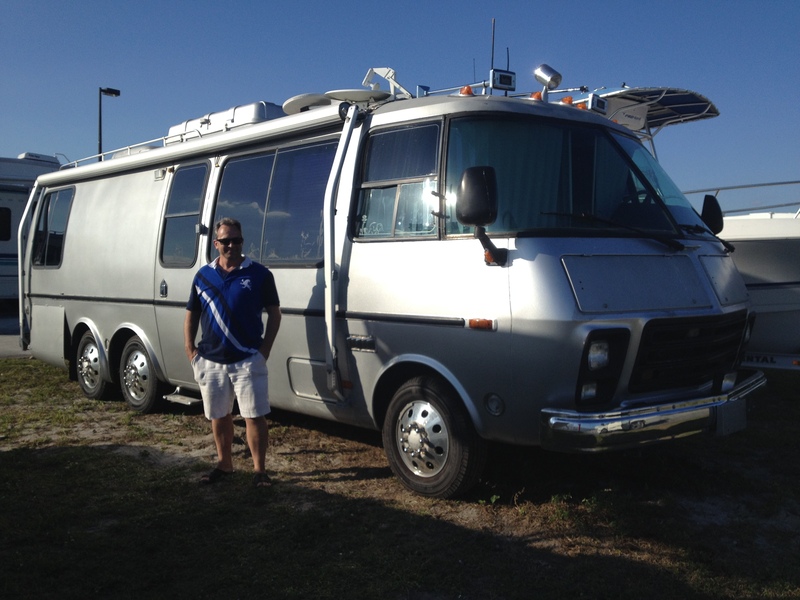 And no, we have not changed our plans for full time RVing, we simply realized that though we gained a great deal of critical knowledge and experience from our GMC Motorhome, he was just too small for us to live in full time. We enjoyed the heck out of half dozen adventures, especially the GMC Sunshine Statesmen rally’s and our 750 mile circuit of Florida over the holidays, but we need something with significantly more living space. A few weeks back, after having enjoyed a flawless eight day “shakedown cruise” of Florida, we decided that since our GMC was in demonstrably peak condition, it would probably sell most easily right then rather than let all those expensive repairs we did over the past 9 months get older and less relevant to a prospective buyer. We put him on the market, including some GMC websites, Craigslist, and eventually eBay. After three weeks, a dozen inquiries, and one mysteriously vanishing buyer who went radio silent immediately after committing to a purchase via eBay, we finally made a deal with a couple from Washington state who flew in to MIA and took possession. It was certainly not without drama and heartbreak! A couple of weeks before the new buyers committed to buy I received an interesting call from the on-site coordinator for a modelling agency. Having seen pictures of the GMC on craigslist, he wanted to rent the Silver Shell for a retro themed model shoot in Wynwood, the art district of downtown Miami. After some negotiation, he agreed to pay $200 per day for the rig and another $150 per day if I could find a driver to stay at the shoot and position it as necessary. 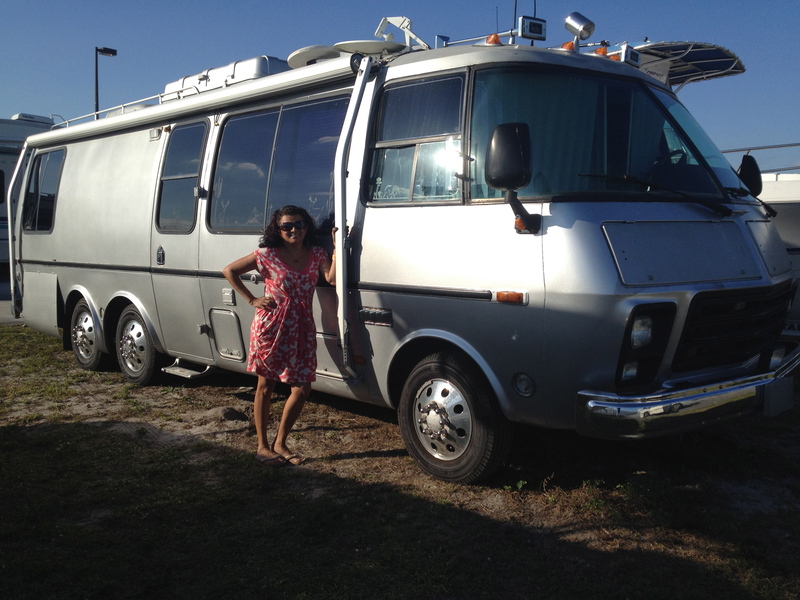 Anticipating a four day and very profitable long weekend, I met my father in law (our family’s designated model shoot motorhome driver) at our storage lot… and it would not go into gear. Surprisingly, my cussing and swearing did not fix it. After urgent calls to Jim Bounds at GMC Coop, we determined that at a minimum the shifter cable was likely frozen and would require replacement. Later our mechanic found cascading series of problems including a cracked flywheel, but that morning I had to call off the model shoot, much to the chagrin of a very flustered modelling coordinator. 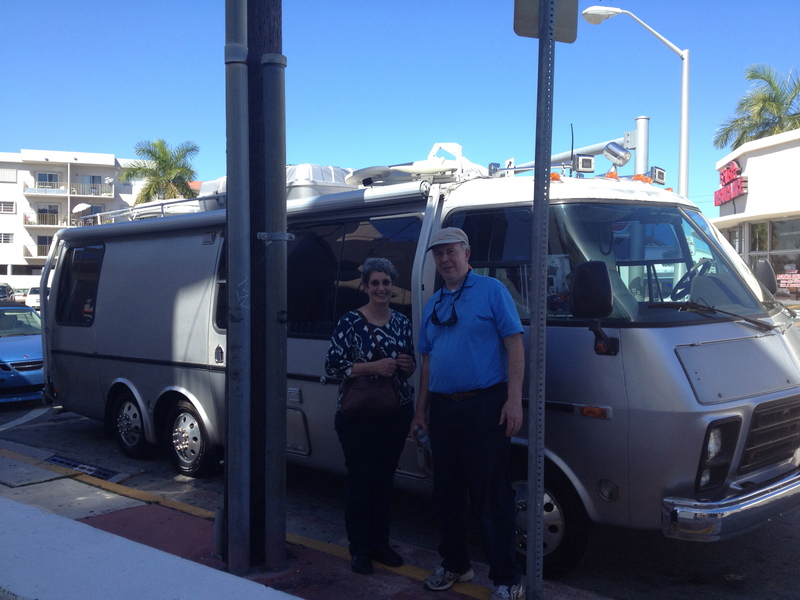 After about ten days, three mechanics, and $1000 we got the motorhome back into smooth running condition, but it was a race against the clock as the new buyers were on the way and wanted to as soon as feasible. We made it with a day to spare, and we kept them apprised of the progress the whole way. We will have some news about our revised RV plans in about a week, so stay tuned. Until then, here are our farewell pictures of our Silver Shell, and the happy new buyers just before the start their journey across the country.